Its simple, a fan blows air to fill a mattress, right? Not quite, you see almost all backpacking mattress inflation points have small restrictions that only allow fast inflation when it has significant pressure behind it. Most fans are designed to move large volumes of air, not create pressure. The microburst is designed to create pressure, which is very different. The technology has been used for many years by the jet aircraft industry. Jet engines need to create sufficient internal pressure to support combustion and create thrust. They do this with a set of fixed blades called STATOR’s alternating with rotating blades called ROTOR’s. 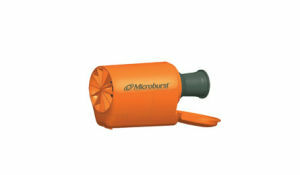 The microburst uses the same principle but with only one ROTOR and two STATOR’s, one before and one after the ROTOR. This, coupled with high speed rotation, creates continuous pressure needed to force air into the mattress and inflate it to a comfortable level. As the mattress fills, the air flow slows causing the ROTOR air to get turbulent. This drops the efficiency and uses excess power from the batteries as well as slowing the rotation. 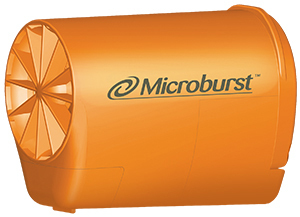 The Microburst solves this problem by providing pressure relief points around the outside of the intake that reduce the drag and keeps efficiency up even at maximum pressure output. You can feel this by blocking the output and feeling the air start to move through these vents. Finally the motor itself is custom designed to match its maximum efficiency point with the torque required to maintain high speed operation. This reduces the power draw on the batteries allowing one set of AAA batteries to last through even the longest backpacking trip without concern of running out. Camp-Tek recommends using the new lithium based AAA batteries available at most retail outlets, as these are half the weight of traditional Alkaline batteries and last much longer. Using these batteries, the Microburst will be useful for over 100 minutes on one set of batteries. At even 4 minutes of inflation time, this is over 25 inflations, enough for any reasonable backpacking trip. All this does no good without a way to get this air into the mattress. 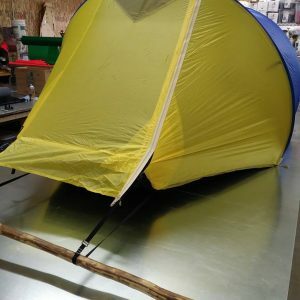 The flexible adapter does this with a design that allows quick connection to the standard intakes used by Thermarest and Big Agnes. 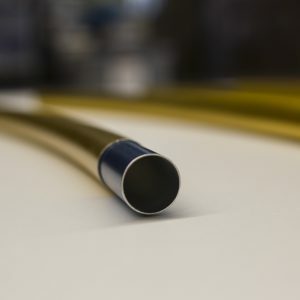 For the Stephenson’s Warmlite mattress a special adapter is provided which opens the one way valve, reducing the restriction and giving a quick connect point that matches the other mattresses. 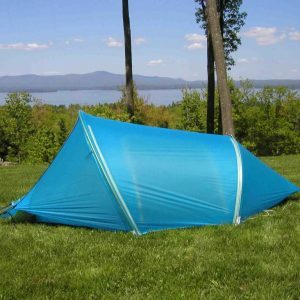 Because the restriction is removed, a large Stephenson’s Warmlite bag, 28 inches wide by 80 inches long and 4 inches thick, can be inflated in only two minutes, faster than the smaller ones, even though the volume is much larger. 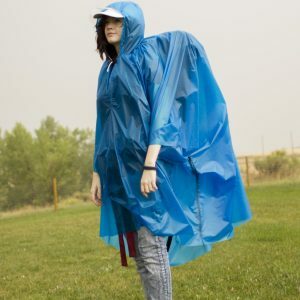 Finally, because the adapter is flexible it can be collapsed into the body of the microburst for easy storage. The final problem is how to make sure the Microburst does not turn on accidentally. The last thing you need is to have the motor running in your pack and draining the batteries before your next nights use. We are well aware that there are no battery stores in the wilderness! To make sure this does not happen, the microburst is designed so that it will not turn on until the back door is opened. If the door is closed, it will not turn on, it’s that simple. 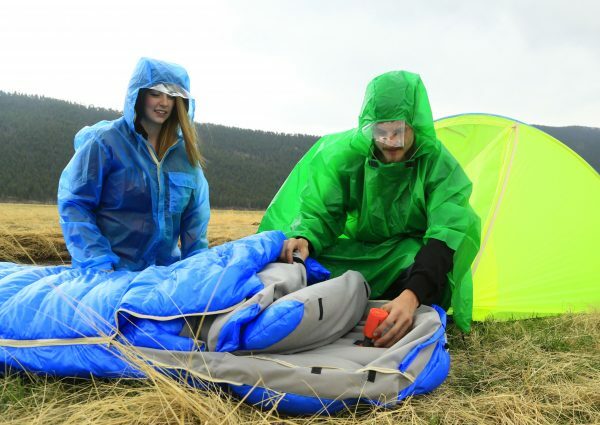 When stored in the provided bag there is no room for the back door to open assuring that no matter how you cram it in or move the Microburst in your pack, the batteries will always be ready for your next inflation. The result is a highly efficient compact inflator.